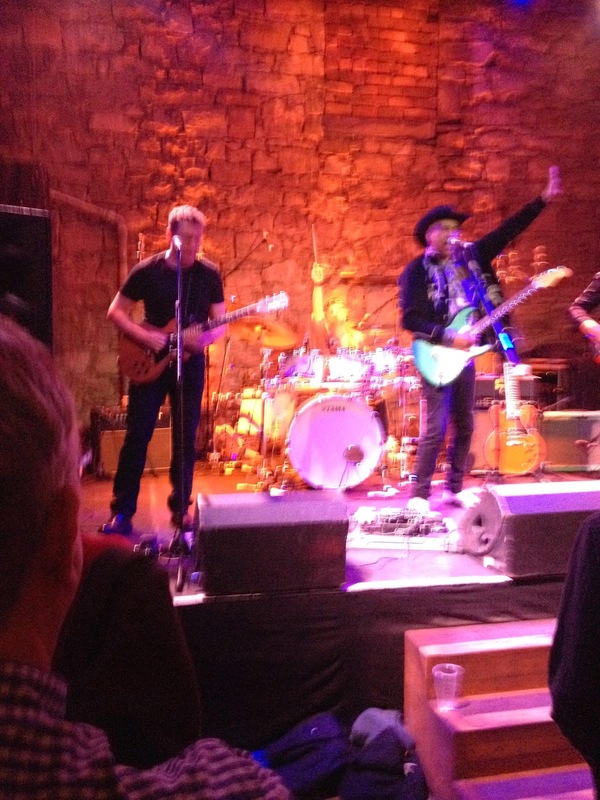 Let’s start by saying this – Marcus Malone and his band are as tight as the proverbial nut. Between them Daryl Tingey on 5 string bass and the exuberant Chris Nugent on drums lay down a rock solid groove, but with a healthy measure of funk and pizzazz. Meanwhile Malone delegates much of the lead guitar duties to the impressive Sean Nolan, although chipping in himself now and then and also sharing in some forays into Lizzy-ish guitar harmonies. The result is a set of rocked up R’n’B from the Detroit bluesman, focusing primarily on the latest album, Stand Or Fall, played from start to finish. Opener 'Living The Blues' sets the pattern for some lock-step rhythm guitar, embellished by some guttural slide from Nolan. 'Slow Down' is cranked up to crunking levels compared to the album version, with Malone and Nolan trading lead licks, and similar intensity arrives with 'One Man Woman' and 'Under Pressure'. Meanwhile 'Can’t Stop' rides in on a riff that nods heavily in the direction of fellow Detroiter Ted Nugent’s 'Cat Scratch Fever', of all things. The playing underpins a soulful blues holler from Malone, showcased on the slow grind of 'Jealous Kind', and the love and regret of 'Gonna Take Time' – comparisons with Paul Rodgers aren’t fanciful. They give it plenty again on set closer 'Christine', drawn from 2007’s Hurricane and featuring a riff worthy of Malcolm Young. But if Malone and co play tough they swing too, and a series of encores also drawn from earlier albums continues the good time vibe. They even find time for local kid Calum Ingram to get up and jam, playing – wait for it – a 5-string strap-on electric stick cello. (It sounds like decidedly slinky slide guitar, by the way.) The crowd show their appreciation by singing along to 'Find Me Somebody' before 'Going Back To Detroit' brings the night to a satisfying close. The enthusiasm for the blues has been a long time coming, and at the same time always there. I latched on to hard rock during my teenage years in the mid-Seventies, becoming a fan of Led Zeppelin, Deep Purple and Bad Company when they had already peaked. I was too young to have encountered Cream at the height of their influence, and the Stones were now mainstream superstars, their evangelism for Chicago R’n’B merely part of their early history. The Allman Brothers were just a name to me. But it didn’t take much to recognise that the blues was obviously an essential ingredient in much of the music I liked. So it was natural for me to take in blues music through the likes of Rory Gallagher, Jimi Hendrix, Whitesnake (of the classic Moody and Marsden period), AC/DC, Pat Travers, Lynyrd Skynyrd et al. But my enjoyment was still filtered through the lens of heavy rock, without much direct connection to its roots. Still, I took on board the fact that Zeppelin had, shall we say, leaned heavily on a number of blues artists for much of their early material. I noted that ‘Ain’t No Love In The Heart Of The City’, a key song in Whitesnake's repertoire, was a cover of a hit for some blues-soul singer called Bobby Bland. And that’s pretty much the way things stayed for a couple of decades. My love of rock music took a back seat at times. But when I did give it some attention I would occasionally bump into the blues in one form or another. 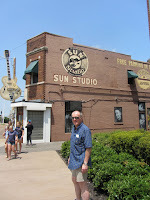 Until a few things began to come together that started me more directly on a journey to the blues . . .